As rentals evaporate, retailer could go indie, if it doesn't go bust. Reel Video is a chain retailer disguised as an independent. It has the veneer of local ownership, owing to its wide selection of cult films, its creative filing system, and its knowledgeable employees. But in reality, Reel only spent one year of its life as an indie. It launched in 1997 and sold the following year to Hollywood Video/Movie Gallery, the second-largest video chain in the country, after Blockbuster. Nonetheless, Reel managed to pass muster in famously anti-corporate Berkeley. Its signage bears no trace of the Hollywood Video imprimatur. Its web storefront kept the original domain, Reel.com, also the official name of the business. 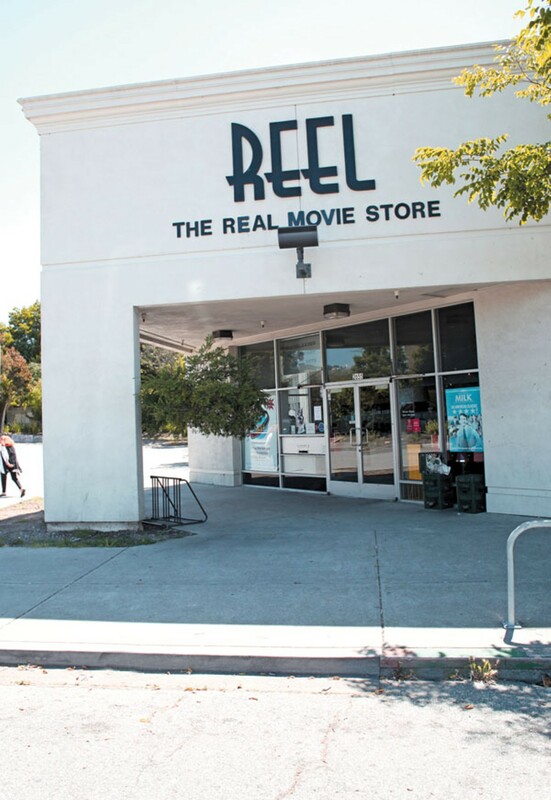 Thus, it's no surprise that Berkeley residents went up-in-arms after hearing of Hollywood Video's recent bankruptcy, which threatened to close Reel Video for good. Many folks didn't realize they were actually defending a corporate chain. Others saw it as an opportunity for Reel to become independent. Representatives from Hollywood Video couldn't be reached for comment, but managers at Reel Video store say that if a buyer doesn't arrive soon, they might shut for good. Meanwhile, the community has kicked into high gear. "The failure of the Hollywood Video chain will have a discernible effect on the local character of Berkeley — our tax base, jobs, and the vitality of Shattuck Avenue," city planner Helaine Kaplan Prentice wrote to Mayor Tom Bates and council member Susan Wengraf. Prentice characterized Reel as a historic landmark and "crossroads" in a town known for its film enthusiasts and independent stores. In an e-mail to East Bay Express, Berkeley's sustainable business coordinator Jennifer Cogley mentioned a local campaign to disentangle Reel from its parent company. She ended with the salutation, "Independently yours." Of all the interested parties, the most vociferous was Reel's founder, Stuart Skorman. He hasn't been involved in the business since selling it to Hollywood Video in 1998, but it's still bound up with his reputation. Skorman, who also founded Elephant Pharmacy and sold a Boston-based chain of natural foods stores to Whole Foods Market, says that when he sold the business to Hollywood, he insisted on keeping the old store name and web URL. "I would argue with the chairman once a year to make sure it stayed Reel.com," Skorman recalled. "I would say, 'You're gonna get me in big trouble. I promised Berkeley it was gonna be Reel.com, not a middle-America company.'" Skorman also kept watching the business from afar. After opening Elephant Pharmacy in 2002, he said waltzed in with a $25,000 check for the video store employees. "I felt so bad those kids were so underpaid," he said. "I gave them each a bonus." Skorman said that once he got wind of the bankruptcy, he made plans to buy Reel back from its current owner. 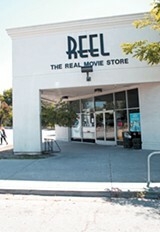 Assistant store director James Lemon, who started working at Reel in 2003, said he never heard anything about this from previous store employees. But, last week, Skorman's investor pulled out, leaving the future of Reel uncertain. "Now we're in crisis-mode," said shift leader Richard Phillips, who started working at Reel five years ago. Already, bloggers were sounding alarms about the death of another local video store. Skorman offered free consulting to anyone with the wherewithal to reopen Reel as an indie. He'd failed to pull together the quarter million bucks necessary to purchase the business, fix all the computers, and keep the store running. But he'd happily assist the next guy. "My role right now is to help keep it open," Skorman said. Such rousing enthusiasm seems a little, well, odd, given that Berkeley activists tried to run Hollywood Video out of town when it first came to Berkeley. The company actually built the storefront that Skorman later obtained for his own business. "You had fifty-year-old baby boomers throwing their bodies in front of cement trucks," Skorman said. In fact, some Berkeley residents would stop at nothing to stem the tide of corporate ownership. They became such a thorn in Hollywood Video's side that the company got fed up. When Skorman arrived from Vermont with plans to open a newer, slicker version of his Vermont-based company, Empire Video, Hollywood Video was all too happy to hand over its venue. "They actually gave me the lease without me having to personally sign for it," Skorman said. "They were just getting rid of something that was a problem." 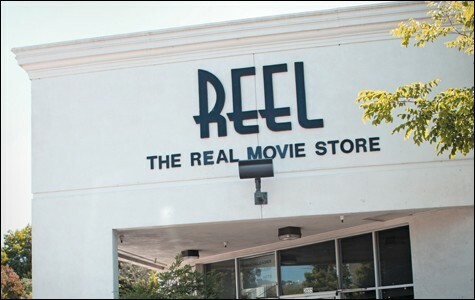 Reel had the distinction of being a movie buff's video store. Skorman's giant catalog included a wide variety of foreign films, documentaries, midnight movies, cult flicks, blaxploitation films, offbeat comedies, and classics. The employees used an elaborate sticker system to categorize everything. Foreign films were separated by country. Classics were organized by genre, lead actor, or auteur. Genres were sliced and diced, so that the "drama" section included such subdivisions as "female bonding," "family," and "race," while the action section included thrillers, blaxploitation films, and a prison-break category called "on the lam." It might have been the only VHS-era video outlet that housed John Wayne in three places: westerns, action, and "John Wayne." To further advance that "information infrastructure," Skorman had his employees write reviews and post them on the movie boxes. That not only personalized the collection, but established staff members as taste-makers. "We always put our own reviews on movie boxes," he explained. "We'd say things like, 'Arthouse critics loved this movie, but mainstream critics thought it was too slow.'" Yet, Skorman's biggest innovation was Reel.com, which was ahead of its time in 1997. He'd launched the business with $3 million at the height of the dot-com era, and quickly moved from SOMA to Berkeley to open the storefront. Soon the web site and store became so intertwined that it was difficult to separate them. Skorman installed computer kiosks in the center of the store so that customers could access the Reel.com catalog while they browsed for videos. At that time, DVDs still hadn't quite supplanted VHS as the most commonplace video format, and online shopping seemed new and hip. Skorman said that when he foresaw the dot-com bust in 1998, he quickly sold the business to Hollywood Video, using Reel.com as the bait. At the time, online video rental hadn't yet caught on. "That's what Hollywood was paying for, because they didn't have an online component," Skorman said. "When I first sold it, I talked to the assistant to chairman of Hollywood. She kept saying 'Reel dot what?' I said, 'Similar to Amazon.' She said, Ama-what?'" Skorman insists he had no option but to sell. "We had bids from both Hollywood and Blockbuster," he said. "The other option was to become IPO, and the third was to go out of business. ... I knew dot-com was gonna bust, we were gonna go broke, or we were gonna make investors broke by going public." In 1998, Reel.com sold to Hollywood Video for $100 million. Skorman owned 17 percent of the company, so he profited generously — as did the investor team. Somehow, he managed to quietly transfer ownership without Berkeley being the wiser. That might help explain why Berkeley residents have been so hell-bent on saving a business that's two iterations behind the competition (with rentals evaporating and computer video streams growing). Prentice remains optimistic. "Reel Video is the answer to city-deadening online rental," she wrote. "At a moment's notice in Berkeley, we can pick from over 100,000 titles at one source. This gets people out into the public realm — to dine, to shop, to put life on the streets." "We received a flood of e-mails over the last two weeks," Lemon said. One stalwart customer distributed fliers to "raise awareness" about the store's predicament. Multiple people sent letters to local periodicals. "What we really need now," Lemon said, "is an investor." Elephant Pharmacy wants to take its holistic approach nationwide. But getting to that point has not been pretty.